There is to be sure, nothing pretty about a clique of businessmen dominating the Russian state. But although they make the juiciest of political targets, the oligarchs are more a symptom than a disease. Far from being rogues who have hijacked an otherwise benign market transformation, the oligarchs are merely the species that has most perfectly adapted to the Darwinian rigours of Russia’s young capitalism. (Freeland, “The men who really run Russia”, 1998, p. 17). Before the USSR was dissolved its population of 150 million owned all the national interests communally. Now less than 15 years after its collapse, a small group of individuals owns an estimated 70-80% of Russia and possibly 50% of Russia’s Gross Domestic Product (GDP) (Russia’s eleven robber barons, http://www.ulfsbo.nu/ussr/ olig_index.html). Who are these people? They are the oligarchs. The financial power of the oligarchs is said to have evolved out of the privatization of the national corporations that were once the mainstay of the Soviet economy. Key areas dominated by the oligarchs are banking, oil and gas, metals and the media. This financial power has also helped to gain the oligarchs indispensable political influence. The majority of financial wealth and political power possessed by the oligarchs was gained in 1995 and 1996 when the Russian government, short on cash, implemented a privatization scheme termed loans-for-shares. This was a bizarre program that transferred control of some of Russia’s most sought after corporations into the hands of a few insiders at prices well below market values. The political influence was gained in 1996 only months before the presidential elections that looked to ensure a communist victory. Yeltsin, then president was showing poor popularity levels and was by all accounts desperate to turn things around in order to retain his position as president. At the conclusion of a late-night meeting with several oligarchs, Yeltsin was given their full support. From this the oligarchs masterminded and bankrolled Yeltsin’s campaign to an eventual victory. To do this they used their television and newspaper companies as “presidential propaganda machines” (Freeland,, p. 17). When the election ballots had be counted and it was official that Yeltsin was going to serve another term it was also official to the oligarchs that they had secured their position and influence within the government. This paper will give more insight into who some of the oligarchs are and where their interests lie and conclude with impact President Putin is having on how business is conducted by this group in Russia. Credited coining the term oligarch in 1996 and by far the most visible of the oligarchs, Boris Berezovsky is an educated mathematician. His rise to economic prominence began when he became director of LogoVAZ in 1989. LogoVAZ was a shady company that produced Ladas and through a system of dummy corporations allowed Berezovsky to pocket money from the sale of cars that on paper did not exist. Eventually, Berezovsky bought LogoVAZ from the state because it was seen as a money losing operation (McCauley, “Bandits Gangsters and the Mafia,” 2001, p. 78). In 1991 Berezovsky’s LogoVAZ, through a connection at the ministry of foreign trade, was the green light to export oil and other mineral resources to the West (McCauley, p. 79). His venture into the export markets made him a millionaire almost over night. He continued the expansion of his empire during the loans for shares program in 1995 by gaining control of Sibneft (oil) and later Lukoil (oil). With his large stake in Lukoil and his persuasive abilities he was able to use the companies pension fund to buy a controlling share in the television station ORT and the former state owned newspaper, Izvestia (Russia’s New Oligarchs, 2000, http://news.bbc.co.uk/2/hi/ business/692297.stm). This was added to Berezovsky’s 75% stake in Russia’s leading entertainment network, TV6. Some of Berezovsky’s early political success has been linked to his close relationship with Yeltsin’s daughter, Tatyana Dychenko; Yeltsin’s chief of staff, Valentin Yumashev; and former Prime Minister, Viktor Chernomyrdin (Matloff, “Russia oligarchs: poorer but…” p. 5). Now considered to be the wealthiest man in Russia, Berezovsky is estimated to be worth in excess of $3 billion US (“Russia’s New Oligarchs,” http://news.bbc.co.uk/2/hi/business/692297.stm). After being dismissed from his government position by Yeltsin and being prosecuted for corruption he was able get himself elected into the state Duma where he enjoyed immunity from prosecution. However, in a show of defiance Berezovsky resigned from his seat in the Duma stating that he was no longer willing to participate in “the destruction of Russia” (Stratfor, “Desperate Oligarch Tenders His Resignation,” http://www.stratfor.info/Story.neo? storyId=102043). Gusinsky got his start when he was appointed to organize the cultural activities for the Goodwill Games in 1986. This had the benefit of introducing him to then owner of CNN, Ted Turner. The contacts provided by knowing Mr. Turner allowed Gusinsky to partner with an American law firm and establish a consulting firm called Most that specialized in helping American firms establish investments within Russia (McCauley, p. 81). His next major break came when her started his own construction company in Moscow and befriended the Mayor of Moscow, Yury Luzchov. Luzchov passed city construction jobs off to Gusinsky. As Gusinsky’s assets began to grow he set up his own back (Most-Bank) to handle all of his finances. According to McCauley this was when Gusinsky convinced Luzchov to transfer “to a consortium of private banks headed by him” (p. 81). This gave Gusinsky the ability to expand his horizons and become a leading banker. Included in Gusinsky’s portfolio is a large media empire composed of Itogi magazine, Sevodnya newspaper, the NTV television station, and Echo Moscvi radio network. However, Gusinsky has recently found himself running from the law. 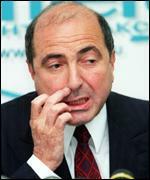 In 2001, like Berezovsky, he was exiled into Europe after charges of fraud were brought against him. In addition, the largely State owned Gazprom-Media was awarded a 46% stake in Media-Most’s NTV and an additional 19% of Media-Most itself as collateral to ensure that Gusinsky would comply with the court order (Stratfor, “Spain Sets Precedent with Arrest of Russian Media Tycoon,” 2000). All things told Gusinsky is still estimated to be worth $2-2.5 billion US (“Russia’s New Oligarchs,” http://news.bbc.co.uk/2/hi/business/ 692297.stm). 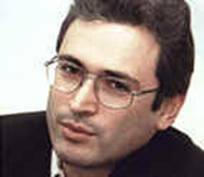 Mikhael Khodorkovsky is one of the younger oligarchs at the age of 40. Educated as a chemist at the Mendeleev institute in Moscow he was able to establish a computer importing business in the late 1980s. After becoming the deputy of the Komsomol in Frunse he ascend to the become head director of the Lomsomol youth scientific creativity groups (McCauley, p. 79). This provided him with many contacts within the communist party where proved his ability to network and direct large groups of people. With most of Khodorkovshy’s contracts coming from the government he was hit hard in 1989 when the government banned advanced payments for contracts (McCauley, p. 80). With his many contacts he was able to establish his own bank, Menatep. 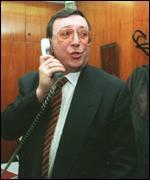 However, in the financial crisis of 1998 he was forced to merge his bank with two others to weather out the storm. Khodorkovshy’s vast holdings also include: a controlling interesting in Russia’s second largest oil company, Yukos, and Independent Media which publish The Moscow Times, Capital, and Russian adult magazines. Further compounding his troubles in the late 1990s Khodorkovshy was forced to sell 15% of his shares in Yuko do pay foreign debts as a result of lower than expected oil prices (Matloff, p. 5). Despite Khodorkovshy’s recent financial troubles his well-rounded connections and the diversification of Yukos into metals, chemicals, shipping and real estate have kept his net worth in the neighbourhood of $8 billion US (“Russia’s New Oligarchs,” http:// news.bbc.co.uk/2/hi/business/692297.stm, Mikhael Khodorkovsky, 2003, http:// www.calguard.ca.gov/ia/oligarchs/Oligarch%20-%20Khodorkovsky.htm). He was ranked by Forbes Magazine as the 26th richest man in the World in 2003 (World’s Richest People, 2003, http://www.forbes.com/finance/lists/10/2001/LIR.jhtml? passListId=10&passYear=2001&passListType=Person&uniqueId=M1IF&datatype=Person). Vladimir Potanin was raised amongst the Russian nomenklatura and unlike so many others in Russia benefited from being able to travel outside of Russia and get a taste of what was going on in the West. In 1991 he gathered together some of Russia’s top state bankers and used his elite connections to find potential clients for a bank he planned to open called Uneximbank which for a time was Russia’s largest private bank. As for so many other future oligarchs, Potanin realized that banking was to key to riches. In 1995, Potanin was credited with the design of the loans-for-shares program which gave the Russian government badly needed funds in return for allowing state corporations to be privatized and sold off for a fraction of their real market worth. This in conjunction with the support given to Boris Yeltsin’s election campaign in 1996 gave Potanin and fellow oligarchs control over the Russian economy and considerable influence within the government. His early acquisitions included the Russian telephone system Svyazinvest, the oil company Sidanko, and the mining company Norilsk Nickel. Later he was able to acquire media outlets such as Izyvestiya and Komsomolskaya Pravda and Russian Television (RTR). His media outlets allowed him to return fire at other oligarchs who accused him of being to close to the government as a result of sweet deals he received. He also owns Sidanko oil, Perm Motors, Northwest shipping, Magnitogorsk, and several other corporations in various fields of operation. http://www.forbes.com/2001/06/21/0621russianintro_print.html). 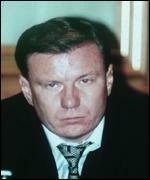 The final outcome is not known at this time however; Potanin is still the majority owner of Norilsk. It is difficult to put a value on Potanin but estimates suggest anywhere from $1.5-3 billion US. 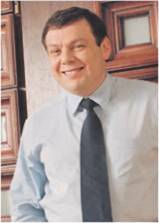 Born in the Ukraine Mikhail Fridman was an entrepreneur from an early age. He bought and sold just about anything that he knew would make him money. Soon enough he established the Alfa Group. The Alfa Group oversees a range of operations from oil to manufacturing to importing and exporting and banking (Alfa-Bank). His biggest achievement was when he received a licence to export oil in the late 1980s. This was very profitable because Soviet domestic oil prices were a fraction of world oil prices so making big profits was very easy (McCauley, p. 79). His income from the export of oil was also all in foreign currencies such as the US dollar, which he held in Western bank accounts for future aspirations. Like most oligarchs he was a close associate of Yeltsin’s and helped finance his 1996 election campaign. In the late 1990s Fridman’s Tyumen Oil Company mostly located in the Samotlor oil fields of Siberia became a victim of its own poor production methods. In an attempt to rectify the situation he sought out Western investors. It was not until February of 2003 when BP signed a deal to invest $6.75 billion to modernize the operations. Most recently the young billionaire has diversified his portfolio. In addition to his oil and banking interests he also owns a chain of grocery stores, construction companies, corporate farms, vast amounts of real estate and within the last year he has ventured into the communications and internet market by buying Golden Telecom and a stake in Vimpelcom. Currently he is racked as the 68th richest man in the world with a net worth of $4.3 billion. Since taking power in 1999 Vladimir Putin has set out to reverse the “gangster free-for-all of the Yeltsin era” and implement a more transparent economy (Forbes.com, http://www.forbes.com/ global/2003/0317/074_2.html). The hope is to attract more foreign investment. This plan of action has created a great deal of hostility mostly coming from the oligarchs, some of which run businesses that are less than admirable. Some of those that have felt the heat the most are Berezovsky and Gusinsky who both now live in exile in Europe. Although Putin has good intentions he finds his powers limited. With the market system barely 10 years old in Russia the laws on corporate actions are still young. An example being the weak anti-trust laws that are currently in place. Another problem has been laws which only allow foreign investors to own a maximum 15% of any Russian corporation. This only leaves the oligarchs to fight over the remainder. This will prove itself again in the coming years as the government intends to privatize the entire rail system with the exception of the tracks themselves by 2010 (Stratfor, http:// www.stratfor.info/Story.neo?storyId=209459). Putin’s main strategy has been to establish central control over the state and individual provinces to bring stability to the nation. This has the effect of slowing down privatization attempts but it may also bring the needed stability that foreign investors require before taking steps to invest. Only recently has this plan begun to bare fruit as in the case of BP investing $6.75 billion US into Tyumen Oil. This represents the largest single foreign direct investment in Russian history. Clearly he has an up hill struggle ahead of him. On one hand Putin must rid the county’s economy of corruption without alienating the West and on the other he must he must not alienate the oligarchs only to see them pull money out of Russian bank accounts and into offshore bank accounts. The transition from communist economy to that of a market driven one have proved sketchy in the early going in Russia. The oligarchs who have only emerged in the last dozen or so years no doubt control a great deal of the economy but measures by Putin have seen their direct political influence decline. However, the oligarchs are more crafty then ever in their ability to get the public masses behind them to meet their political motives via their vast media controlings. Clearly the oligarchs have learned fast to play the new game of economics in Russia. With the exception of the 1998 economic crisis most oligarchs continue to amass huge fortunes albeit under far more stringent state supervision. The oligarchs are also beginning to understand the value good share holder relations. In the past mass fortunes were made by stripping corporations of there assets. Now the trend is towards maintaining good relations with shareholders to attract investors with much needed foreign capital. In most literature the oligarchs are viewed as the bad guys in the new Russian economy. However, it would appear that the real culprits are not the oligarchs themselves, but the circumstances that have produced them and allowed them to prosper. The Russian State “by choosing to surrender corporate assets to the oligarchs through the shares-for-loans, the cabinet created their economic might. By choosing to surrender the electoral process to the oligarchs in the 1996, the Kremlin created their political power” (Freeland, p. 18). BBC News. “Russia’s new oligarchs.” From the internet site: http://news.bbc.co.uk/2/hi/ business/692297.stm. Site last updated March 28, 2000. California Republic. “So what’s an oligarch and why should we care?” From the internet site: http://www.calguard.ca.gov/ia/oligarchs/Oligarchs%20Page.htm. Site last visited April 4, 2003. Caryl, Christian. “Strange Bedfellows.” Newsweek. Volume 136, issue 14, pp. 35-38. October 2, 2000. Economist. “Putin verses the oligarchs?” Volume 335, issue 8175, pp. 49-50. June 17, 2000. Forbes Magazine. Forbes.com. From the internet site: forbes.com. Site last visited April 4, 2003. Freeland, Chrystia. “The men who really rule Russia.” New Statesman. Volume 127, issue 4400, pp. 17-18. August 28, 1998. McCauley, Martin. “Bandits, Gangsters and Mafia.” Pearson Press, 2001: Great Britian. Matloff, Judith. “Russia oligarchs: poorer but…” Christian Science Monitor. Volume 91, issue 24, p. 5. December 30, 1998. Matloff, Judith. “Russia’s oligarchs wield power behind the scences.” Christian Science Monitor. Volume 90, issue 198, p. 6. August 4, 1998. Starobin, Paul. “Russia’s New Wealth.” BusinessWeek online. From the internet site: http://www.businessweek.com/magazine/content/02_31/b3794013.htm. Site last updated August 5, 2002. Stratfor. Stratfor.com. From the internet site: www.stratfor.com. Site last updated April, 4, 2003. (various articles). Watson, Russell. “Moscow’s real rulers.” Newsweek. Volume 132, issue 10, pp. 31-33. September 7, 1998.